MobiLock and Android for Work makes it easy for you to configure Pulse Secure VPN on your managed Android devices. 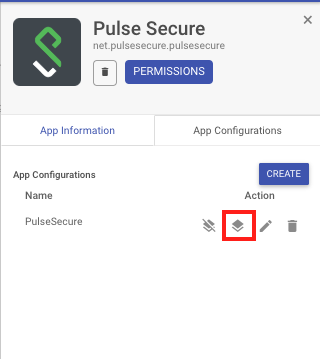 Follow the guide below to configure Pulse Secure. Complete Android for Work Setup in MobiLock Dashboard. Invite your Employees to enroll their Personal devices. 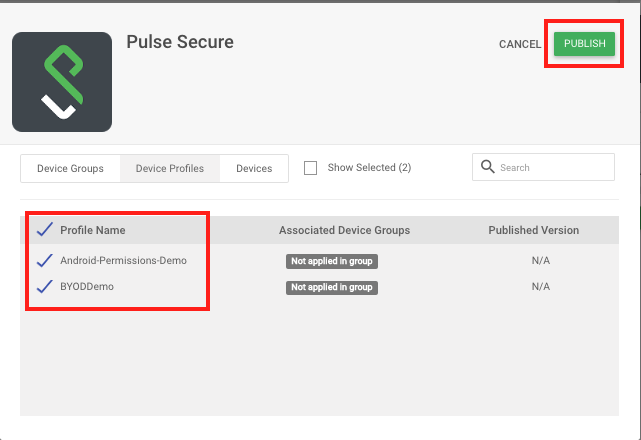 The following feature works only for devices enrolled via afw#mobilock and where MobiLock application is set as a Device Owner or employee owned devices where MobiLock creates a Work Profile. It will not work if you are using legacy methods to enroll the devices. Click on SEARCH&ADD button to see the Google Play dialog. Follow the onscreen instructions to approve the application. Click Done to close the dialog and now the app starts appearing on the MobiLock Dashboard. 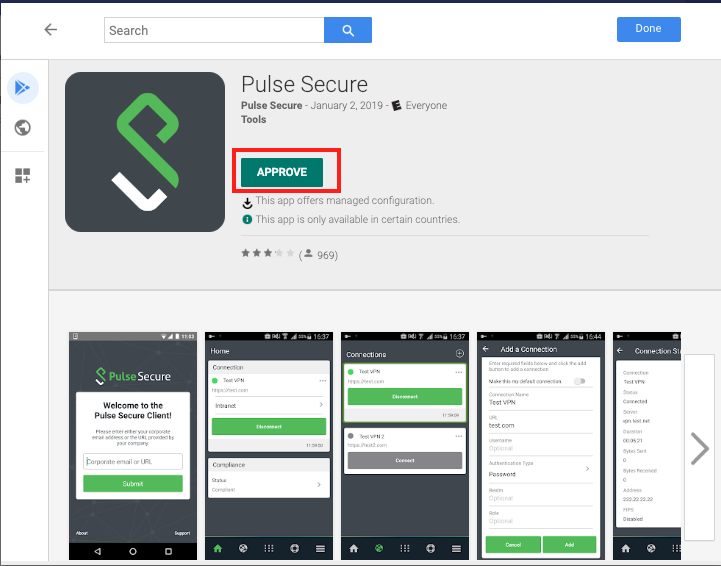 Click on the Pulse Secure application to see the details card. 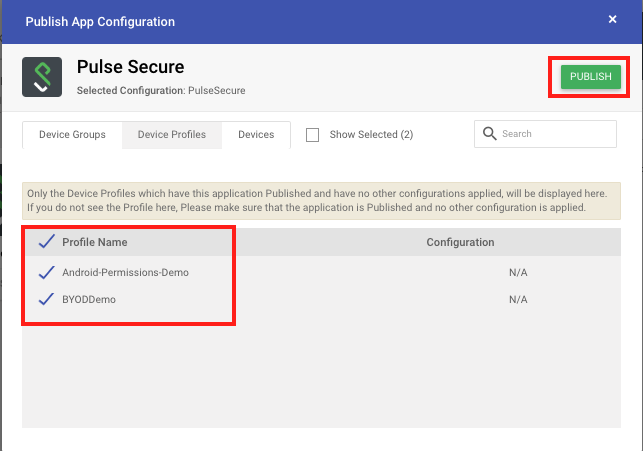 Click on the App Configurations tab and click CREATE to see the configuration options. 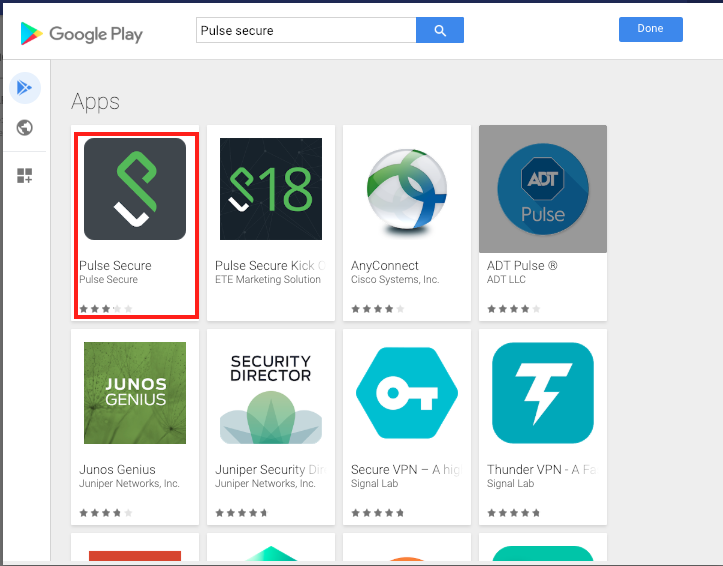 The URL of the headend that is the actual Pulse Secure VPN Server. 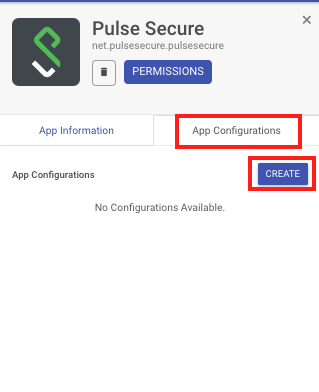 Choose the authentication type for the VPN connection. Optional field to specify the password for the VPN connection. The alternate username to be used or blank. The alternate password to be used or blank. 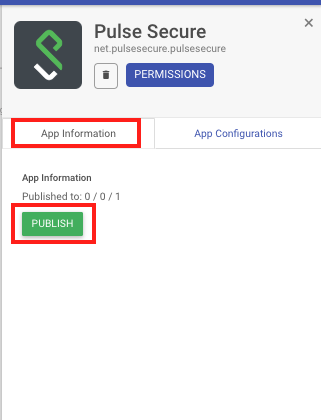 The Alias of the certificate in Android KeyStore if the Authentication type is certalias. Enable this setting to make this VPN as the default VPN. Enter the VPN Realm, that specifies the compliance rules for the users to use the VPN. Define the user roles, that is the capabilities related to access features and other personalization settings. Choose if the VPN has to be used at a device level or app level. Choose the action for Applications, whether to allow or disallow. Basing on the list of packages in AppVPNPackages will be treated. Comma separated list of packages to be either allowed or disallowed for VPN. Enable this to use this VPN as an always ON VPN and requires a logoff to disconnect. Once you have entered the values, click on SAVE to save the configuration. All the saved configuration appear in the list. Now click on the App Configuration tab. Click on the Publish icon. This will cause the applications to be installed on the devices and then configured based on the configuration. Please contact your VPN Service provider in case you need details on how to use a particular setting and the accepted values.